On fourth-and-goal from the 4, the typically conservative Ferentz approved the swinging-gate formation with the entire line except the center motioned right. The snap went diagonally to Hockenson, who hustled from the shifted backfield around the corner to reach the end zone. Iowa: The Hawkeyes responded authoritatively to the disheartening defeat by West Division favorite Wisconsin. Stanley directed each of the first two drives for touchdowns, and he produced plenty of clutch throws throughout the afternoon as the Hawkeyes moved the chains on 12 of 21 plays on third or fourth down. Minnesota: After giving up 315 yards rushing on 37 attempts to Maryland, the Gophers defense muscled up and limited Iowa to 106 yards on the ground on 40 carries. 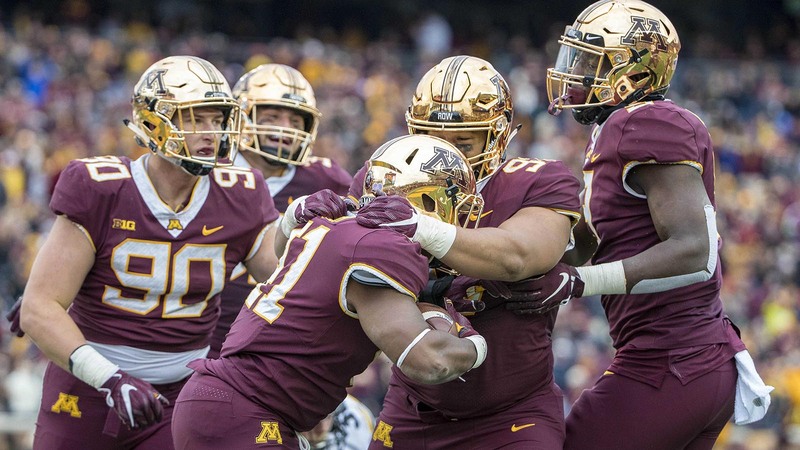 There were several costly coverage breakdowns in an inexperienced secondary now missing star safety Antoine Winfield Jr. for the season because of a foot injury, but the way the front seven played ought to serve Minnesota well the rest of the way toward trying to reach bowl eligibility.